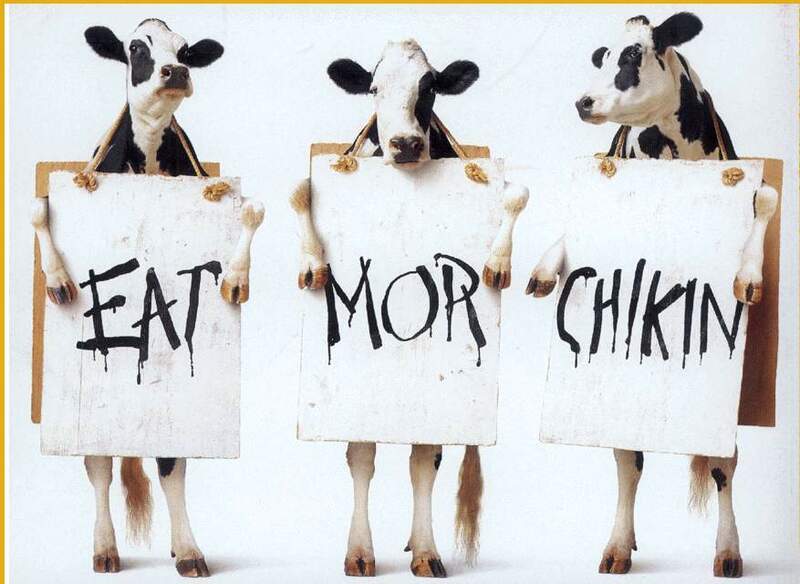 Join the Northern Virginia Chick-fil-A Restaurants as they try to break the World Record for people dressed as cows! Join them at the FIELD HOUSE (I know the image says Patriot Center, but it’s incorrect) at George Mason University on Tuesday, July 2, 2013 at 10am. People, it’s on a Tuesday. Now, let’s talk about why this is genius. Here’s what we’re going to do, and be “we” I mean PwcGrammy because I don’t do crowds yet. Step 1: Eat a smoothie. July is too hot for cooked breakfast. Step 2: Drive to University Mall Theaters. Buy $2 Tuesday Tickets for afternoon show. Step 3: Drive (approximately 2 minutes) to GMU’s Field House. Step 4: Eat Mor Chickin. Get in record book. Step 5: Go see cheap movie. In cow costume. Cross your fingers it’s barnyard themed. For the World Record, you’ll want to come dressed in a one or two piece cow suit with a headpiece or decorated hood. Many local CFA Restaurants will have haz-mat style suits available while supplies last for customers to decorate. Also legal would be a black or white sweat suit (with hood) that you add spots to. Shoes should be “cow appropriate” in black or white. Also note that this event will benefit the Capital Area Food Bank, and participants are encouraged to bring canned goods to the event.